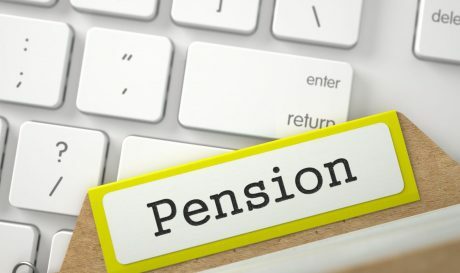 Pensions provide employees with important benefits upon retirement that are usually based on a combination of a person’s salary and years of service. As a result, employees can rest assured that after they retire, they will have access to a certain amount of savings. Unfortunately, companies can and do go out of business and are in turn, unable to continue funding pension programs, which can have devastating consequences for former employees. In an effort to address this problem, Congress included a provision in the Employee Retirement Income Security Act (ERISA), which created an independent agency known as the Pension Benefit Guaranty Corporation (PBGC). The PBGC ensures that eligible participants receive benefits in the event that their employer’s pension plan fails. Keeping pension insurance premiums as low as possible. To help reach these goals, the PBGC insures employers who offer pension plans and also take over management of qualifying pensions. The loss to the PBGC will increase unreasonably. Finally, an employer can terminate a plan if a pension program has sufficient funds to pay all of the benefits it owes to participants. Disability benefits for a disability that occurred after a plan’s termination. The PBGC does not guarantee monthly payments that are greater than those that a person would have received if he or she had retired at 65 years old. Furthermore, the maximum amount that the PBGC can provide is set by statute and is recalculated every year. For example, participants whose plans ended in 2016 and who retired at the age of 65 years old were eligible to receive $60,136 per year, which breaks down to around $5,011 per month. However, lower amounts are paid out to those who retire early or if a benefit is going to an employee’s surviving heir. The PBGC can also not guarantee benefits if a plan was changed to increase benefits within five years of termination. To speak with an experienced ERISA litigation attorney please contact Michael Bartolic, LLC at (312) 635-1600 today.